Do you need hosting for your cloud service, do you work in advertising, IT, consulting, design or web development? Sircon can offer the best market price on .no domains for professionals: Only: 69,-/year. Are you providing online services for your customers, and would like to profit by selling web design, development, solutions, web hotels or domains? Then reselling with us is the perfect option for you! As a reseller, you purchase a server or a package consisting of storage/traffic/backups/emails and more. Reselling with us allows you to resell at the price point of your choice. You will also get Norway’s cheapest domain registration with .no registrations, in addition to 30% off of any of our developed solutions when reselling with us. These are smart solutions if you work in advertisement, web design /development, or provide a web service and would like to offer your customers complete web solutions! Our resellers have accounts on our servers and our administration system, that allow easy setup and administration of orders, web hotels, email, ftp, domains, payment solutions, and billing for customers. Your customers are given the same user privileges as our own customers by use of our online store and the functional WHM dashboard we provide through cPanel. The user dashboard can be implemented on your own WordPress sites, or set up with your logo or branding, so your customers don’t see anything related to Sircon. You yourself are responsible for all support and billing for your customers, but we can provide solutions that automate these tasks. We are committed to you as a reseller, and will provide all the necessary support and training. NB: Only businesses with their own organization number can become resellers through us. 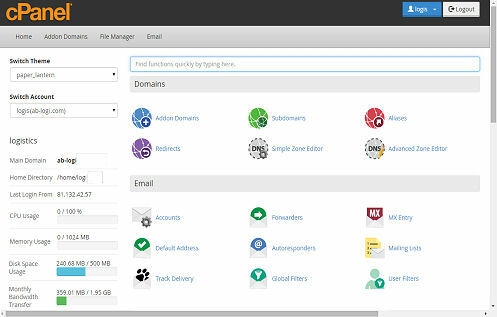 cPanel makes life easier for the website owner and offers efficient tools to help your customers do important tasks, such as create new email accounts, ftp, and more. 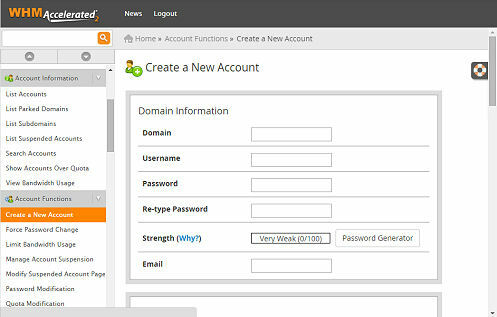 cPanel has a user-friendly interface for beginners, and more advanced users will be able to find all the functionality they desire, and also be able to use advanced and efficient tools to make their tasks easier. Domain price .no : Kr 69,-/ year.